Whether you would like to book a tent to provide a venue space with a clean palette or if the tent is needed for a last-minute rain plan, Chic Event Rentals has all of your tenting needs covered. 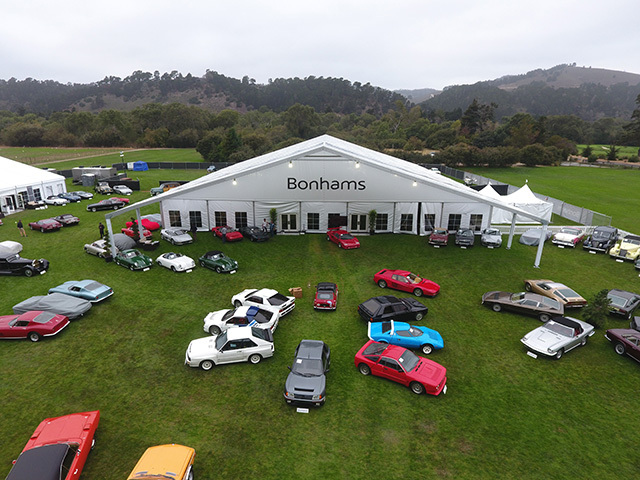 As the only rental company located in Monterey Peninsula providing tents over 40’ wide as well as translucent sailcloth top pole tents (tidewater), Chic Events is proud to offer the selection, knowledge and service our clients deserve. 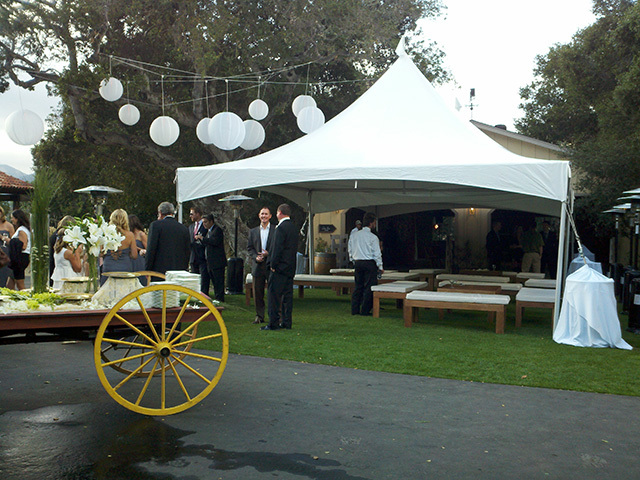 Tenting is customized based on location, guest count, weather conditions, budget and other event-specific factors. Creating CAD Drawings to help with placement of items to ensure everything will properly fit. Call us today at (831) 375-1055 to speak with one of our tent specialists and find out about tenting your upcoming weddings and events! The high sweeping peaks and tensioned fabric makes the festival a favorite for most any outdoor, budget friendly event. Tents available in 10’ x 10’, 15’ x 15’, and 20’ x 20’. Lengths expanding to fit event needs and space requirements. Features high, sweeping peaks and tensioned fabric that provides a tight, clean look. Available in white top with clear, white, or window sides. Can be staked into the ground or we can bring in weights to anchor tent. If staking into the ground, we will need an additional 5’ around tent for ropes and stakes. 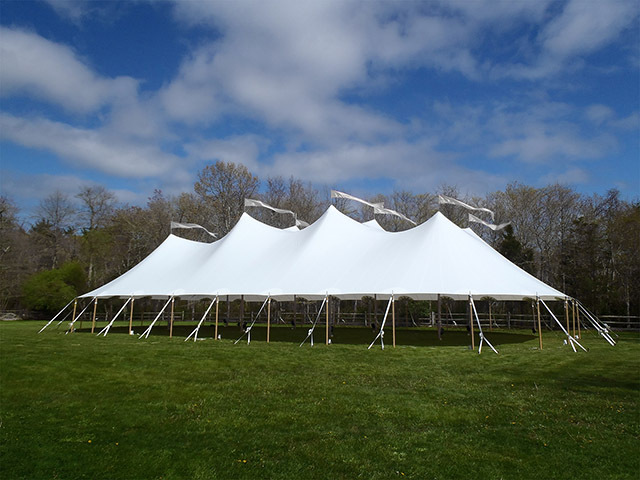 Frame tents are our most commonly rented tents for weddings and events! 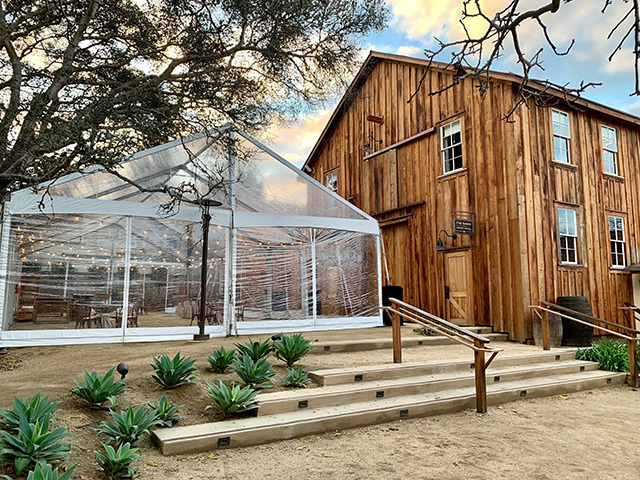 These open, A-frame tents are ideal for weddings and events due to many size options, flexibility of adjustable legs, and their ability to be transformed into a beautiful event space using lighting, ceiling treatments and more! Widths at 10’, 20’, 25’, 30’, 40’, and 50’. Lengths expanding to fit event needs and space requirements in 5’ increments. Available in white and clear tops. Available with white, clear, mesh and window sides. All walls are on sliders and zip in the center, making this an ideal tent for changing weather conditions. No center poles for an open-concept space. Can be set up on most surfaces. Structure tents are the most versatile tent available. They are very popular among corporate events due to their ability to be transformed into a building-like atmosphere. Widths at 33’, 40’, 50’, 60’, 66’, 82’, 98’, 114’, 131’, 148’ and 164’. Lengths expanding to fit event needs and space requirements in 16’ increments. Available with white and clear vinyl walls. Available with glass and hard PVC walls. Must be set up on a completely level surface. If being set up on an unleveled surface, an engineered flooring system will need to be installed under the tent. The possibilities for transforming these tents is endless! With elegant lines, a magical glow and a poetic look, our sailcloth tents provide the ultimate romantic setting for your special day. The sculpted peaks and eaves, with a hit of nautical flare, combine to create and open-air event space like nothing you’ve seen before. The translucence of the sailcloth fabric richly enhances daytime events with natural, warm light and dramatically glows when lit for evening gatherings. Must be staked into ground. Tents themselves will stop the rain from coming down on your guests, however, once the water runs off the side of the tent, if your tent is setup in an area where water would puddle or flow through, the tent will not stop puddling or water from flowing through, and your guests may be standing in water. The only way to stop the water from hitting your guests’ feet is to add a floor. Tents are no different than your home or car in that they face condensation. Condensation occurs when warm air collides with cold surfaces, or when there’s too much humidity in your home. When this moisture-packed warm air comes into contact with a chilly surface, it cools down quickly and releases the water, which turns into liquid droplets on the cold surface. This will result in what feels like rain inside your tent when it’s simply condensation. The only way to avoid this is to have constant air flow from a forced air heater. For any tent that must be staked into the ground, all underground sprinklers, septic or other underground utilities must be flagged before installation; we are not responsible for hitting any lines underground. Permitting fees may be applicable. Where will the event be held? If taking place at a private home or venue we have not yet previously tented, an on-site meeting might be required for proper quoting. What type of surface will the tent be set up on? Grass, dirt, concrete, etc.? What type of event are you having in the tent? Sit-down dinner, standing reception, dancing only, etc.? If having a sit-down dinner, what size tables will you be using? What are you expecting to fit inside the tent? Tables, dance floor, furniture, etc.? Do you prefer white top or clear top? Does the tent need sides? If so, white or clear? Do you require heating? (remember the condensation information above). Do you require flooring? (remember the puddling information above). When can we install and tear down? When will the actual event take place?